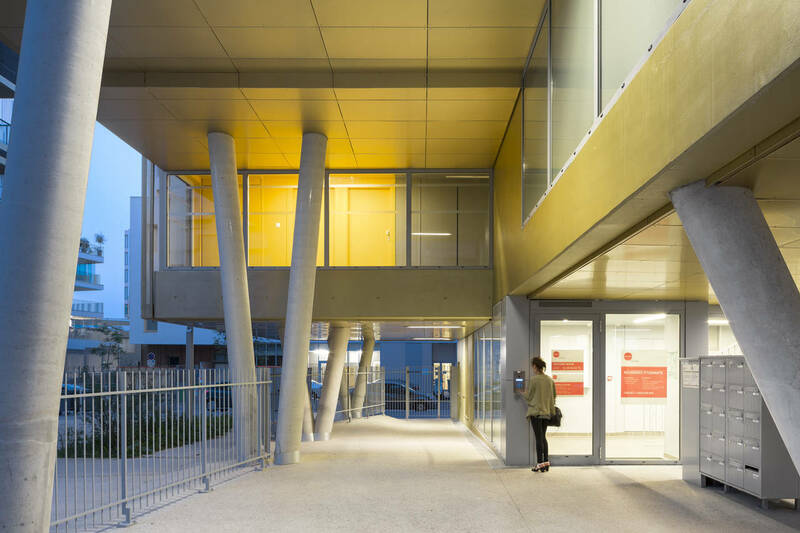 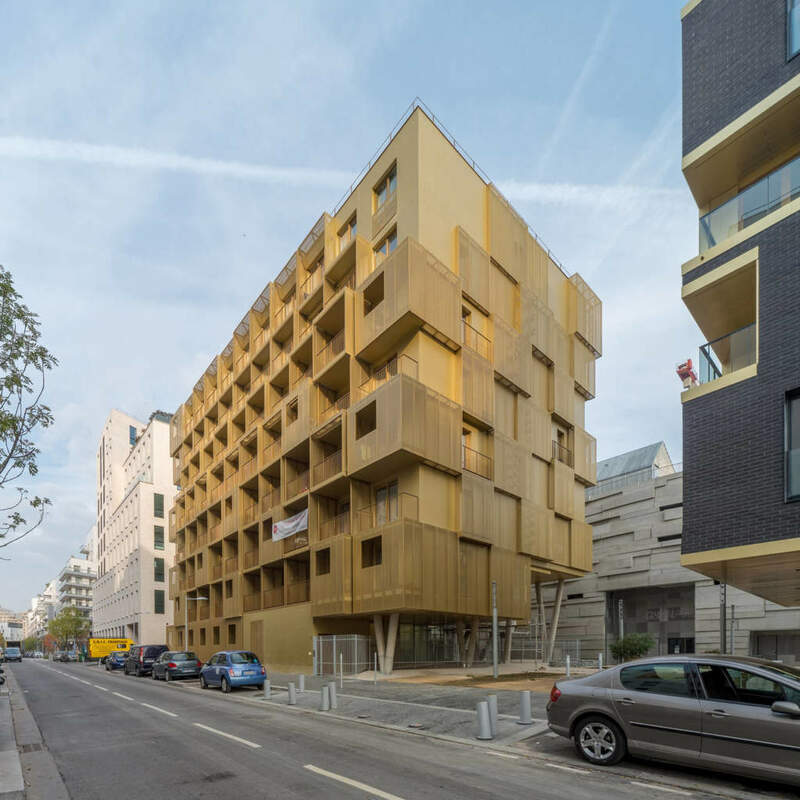 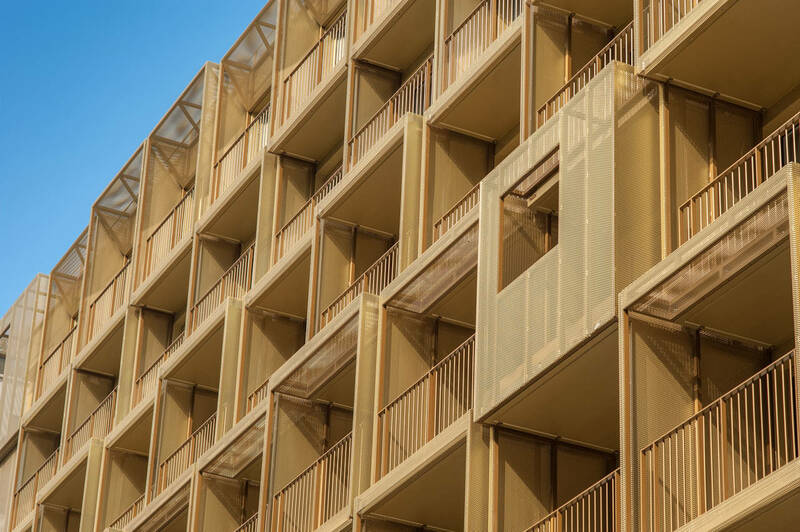 The French firm Hamonic + Masson & Associés realized th project of student dwellings 'Golden Cube' on the ‘A4 Est’ sector of Le Trapèze in Boulogne-Billancourt, Paris. 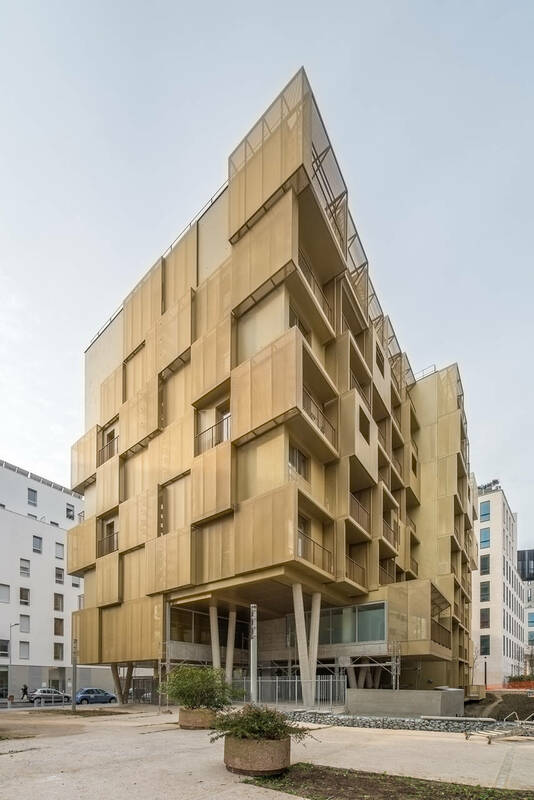 Fundamental principles guided the programmation and construction of A4 Est, such as the coherence and harmony of buildings, limitation of vis-à-vis, construction at intermediate height to maintain a human scale and a blending of exterior and interior limits by offering loggias and exterior space. 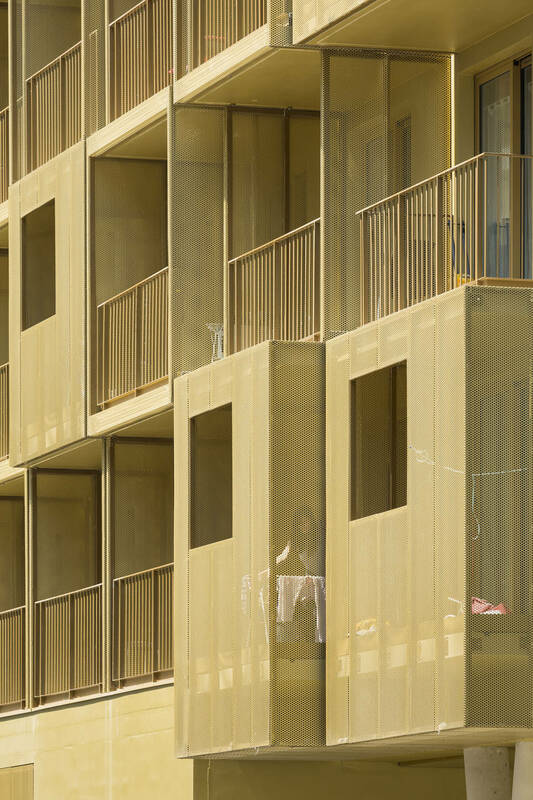 In the project of Hamonic + Masson & Associés this principles are also visible, but the 8-storey golden cube with its 156 rooms is crossed by a secret garden, as the project coordinators, Loci Anima, were keen to reintroduce some biodiversity onto the island. 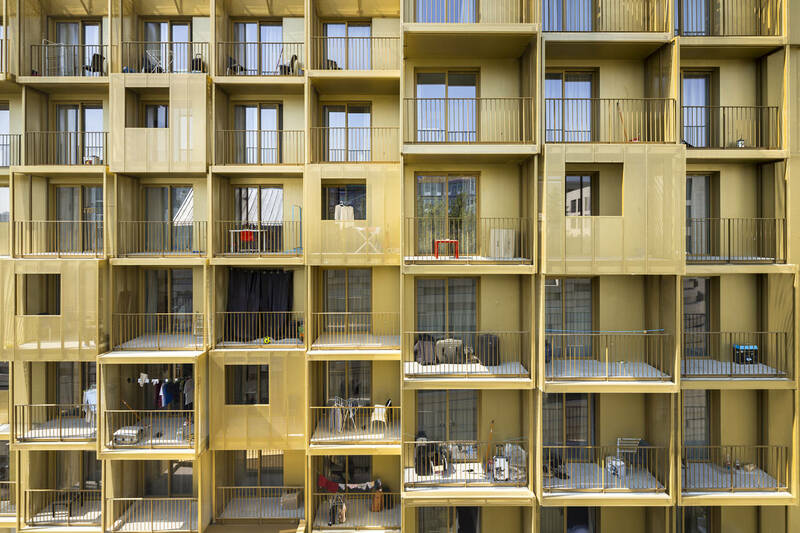 The architects paid attention on exterior spaces: every apartment has its own exterior space. 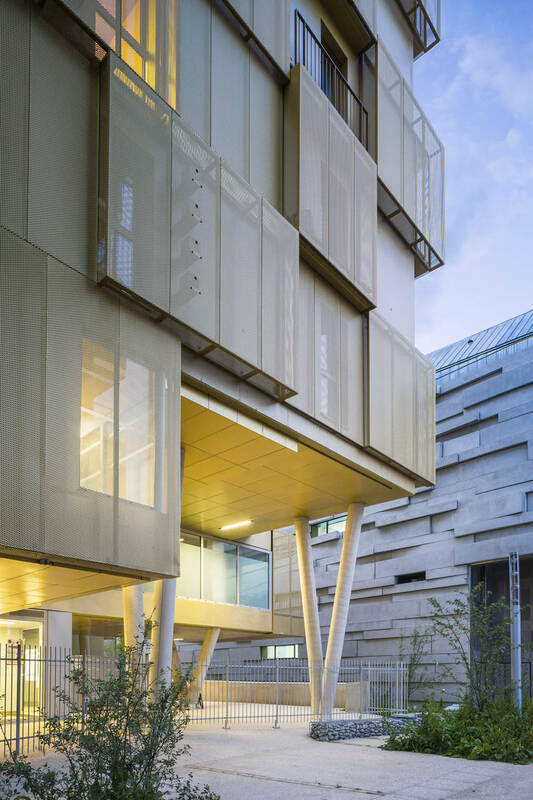 A 1.5-metre recess allowed us to include loggias along almost the entire façade. 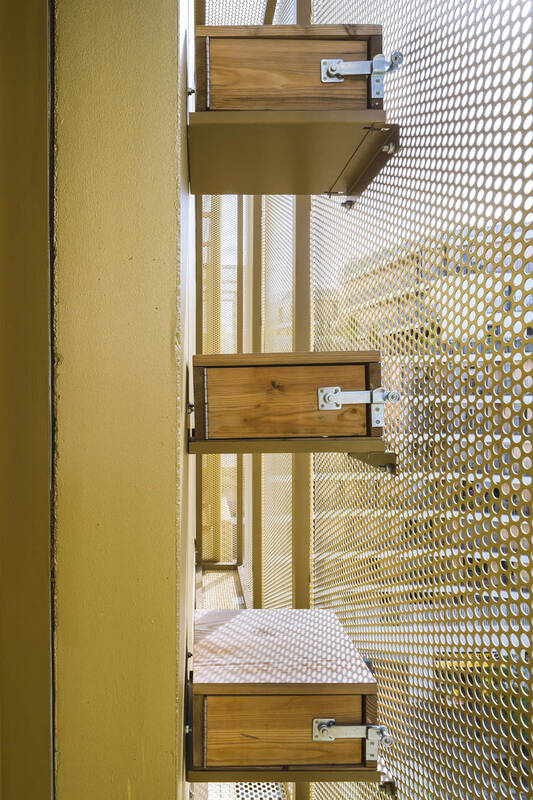 The building’s outline is blurred by the use of filters, like the perforated sheets of steel that allow to give the impression of a solid cube. 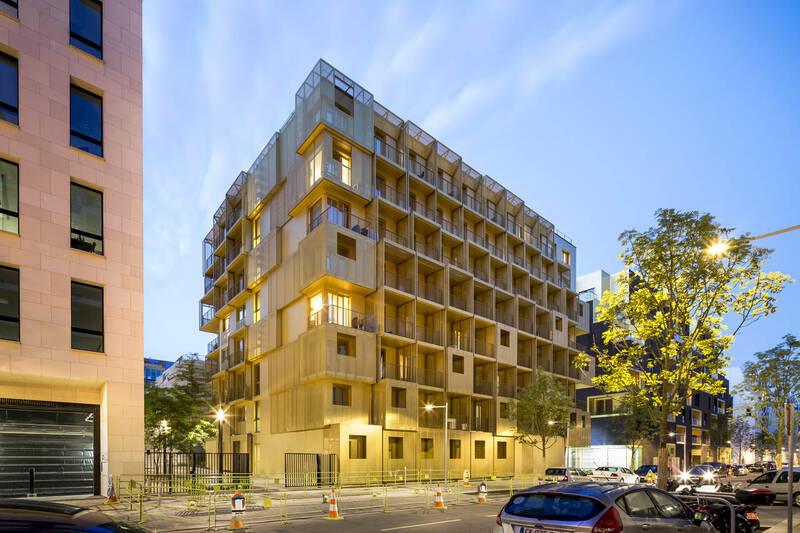 The strongest challenge for the architects was to deal with a dense urban context in which the quality of the environment needs to be maintained. 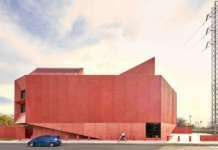 Furthermore the client demanded for a compromise between cost and effectiveness. 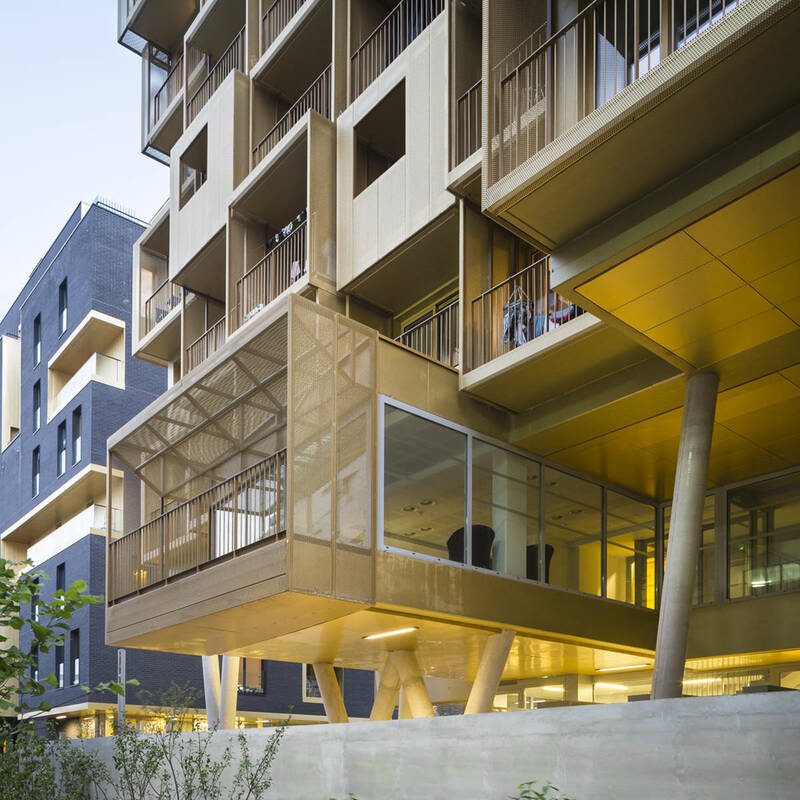 The architectural quality of the spaces emerges despite compact context. 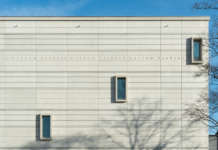 The building represents itself a landmark with a powerful character.